Monsieur Truffe 51% Milk Chocolate blended with crunchy house-made Honeycomb. 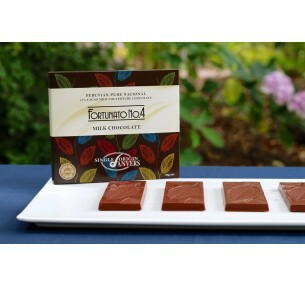 A classic perfect pairing with the finest ingredients. 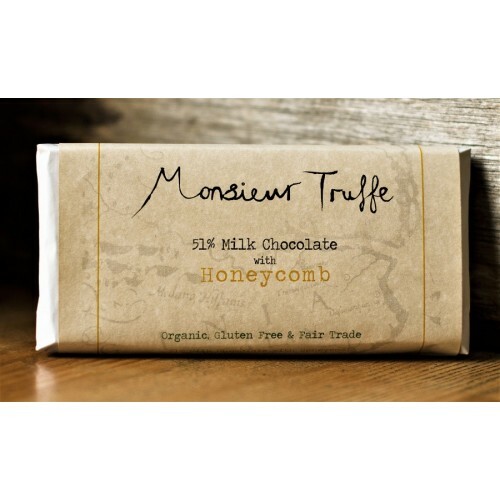 Gluten free and Organic, this delectable block will soon be your Friday night go-to. Cane Sugar, Cocoa Butter, Whole Milk Powder, Cocoa Mass, Emulsifiant: Sunflower Lecithin, Vanilla Extract, Glucose, Baking soda. Monsieur Truffe 51% Milk Chocolate blended with crunchy house-made Honeycomb. 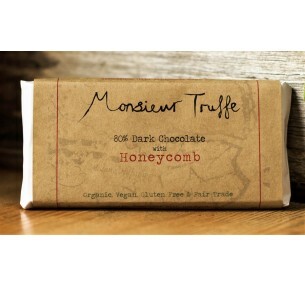 A classic perfect pair..
Monsieur Truffe 80% Organic, Fair Trade Ecuador Dark Chocolate blended with crunchy house-made Honey..